(*) Fox (WG) was deleted from crew when crew size was changed from 10 to 9 men. (KIA) - On 28 September 1944 mission #248 to Magdenburg, Germany in B-17G #43-38572 (No name) (360BS) PU-A. The aircraft was last seen in formation, under control. The right wing was on fire after being hit by German fighter gunfire. No parachutes were seen departing the B-17. It crashed near Homburg, Germany. All crewmen were killed. 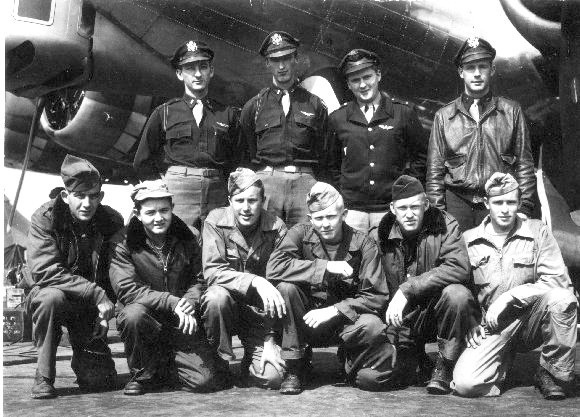 Eleven 303rd B-17s were lost on this mission after being attacked by an estimated forty FW-190 and ME-109 German fighters.